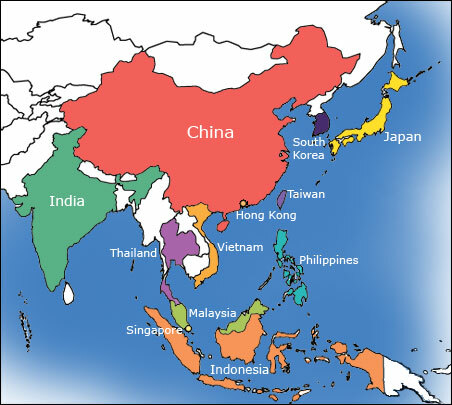 Study shows 37% of tweets originate from Asia. Is that right? A French company called Semiocast conducted a 24 hour study of 2.9 million tweets on June 22 and, using a language algorithm to determine self-identified physical location, found that 37% of tweets came from Asia, compared to 31% for North America. By region: Asia 37% up from 31.5% three months ago, North America 31% down from 36%, South America stable at 15%, Europe 14% down from 15%, Africa 1.5% up from 1%, Oceania stable at 1.5%. According to the study, the US accounted for the most tweets worldwide, with 25% with Japan (18%) and Indonesia (12%) leading the pack in Asia. These numbers contrasted with a study done three months earlier by Semiocast that had the US at 30%, Japan at 15% and Indonesia at 10%. Ok, so are these numbers for Asia too high? Twitter is certainly growing around the world – with at least 60% of accounts outside of the US (as of April), so they could possibly be this high. Japan and Indonesia are highly populated countries, and in Japan at least, Twitter is very popular (not sure about Indonesia, but even if these numbers are half right and only 6% of tweets come from Indonesia, that would still make it pretty popular seemingly). So from that, Semiocast’s Japan number is 6% too high – as such we’re somewhat skeptical that Semiocast’s numbers for Asia would hold up if played out over the course of a month. Of course, Twitter management knows exactly what these numbers are, and we’ve emailed them for comment [update: Twitter responded that they are not currently giving out user statistics, which is what we expected as a response]. What do you think, do these numbers sound accurate? Regardless, it’s a good reminder that Twitter is doing well around the world, whatever the exact number. Read next: Google gets into the travel business; acquires ITA.